Welcome back to our blog series on summer activities! In our first two blogs we talked about math and literacy activities, and today, we’ll be covering science. Science is one of those school subjects that kids tend to say they love doing — especially when experiments are involved. But if you’re worried about your kitchen turning into a volatile laboratory where smoke comes spewing out, fear not! All of our science activities are kid (and parent) approved, and all of them are fun! Whether your child is just beginning to get invested in science, or even if they have very little experience, these mini-lessons are the perfect way to end out the summer. As a charter school in Loveland with incredible STEM activities, we at New Vision Charter School are as competent as we are excited to get your child into science over the summer. Learn more in our blog, and begin the enrollment process today with New Vision Charter School! You might be like many families, and have children who have a few years between them — enough to make a difference in how they learn and where they’re developmentally at. Or, you might be reading the below science activities and wonder how you can adapt it your child. Of course, you know your child best, but we’ve included some extensions to make it easy for any child to enjoy these science experiments. Fourth grade will serve as our baseline, as these kiddos are right in the middle. K-3: This indicates how to adapt the science experiment for younger children. 5-8: This implies adaptive features that can be applied, to make the experiments more age-appropriate for older kids. Additionally, each of our experiments will revolve around an essential question, which sets the tone for your child’s investigation. This activity ties directly with one of our last blog posts, but this time we’ll take a scientific approach! To start, discuss with your child how they think plants grow — what do they need to succeed? Once covering the basics, head out to your local greenhouse, and let them pick out some seeds. Use this as a setup for creating some variables, and have your child make predictions. Will the same plant do better indoors or outdoors? Do different plants, such as flowers and peppers, grow similarly or different? If you water one plant once a day, and one every few days, will that affect the growth overall? Of course, asking these questions is not the only step — encourage your child to check on the results (and beforehand, have them make a hypothesis) and to track their progress. Using an old notebook from the previous school year is a great way to do so — and using fun colors and drawing the progress/results is even better! K-3: Start with one plant, and have them practice noting changes in their initial plant. 5-8: Try replanting roots, seeds, or plants that are native to the area. Or, expand into organic growing and farming, and see if they’re interested in trying to cultivate produce in a natural way. What are the varying states of matter? Chances are, your kid has gotten into making slime or knows someone who has. YouTube and Instagram videos have blown up this past year, showing the strangely relaxing and pleasing sensations that come from playing around with slime. There’s some seriously cool science behind it, and summer’s a great time to experiment! Start by talking about the three main states of matter: solid, liquid, and gas. Use water as an example, and play around with ice and steam while discussing the particles that make these different states happen. Next, spend some time watching at least one or two videos to get your child excited — it’s hard to not want to immediately make these awesome creations! Finally, pick a recipe, and get creative! Try different colors or different materials, and discuss with your child how this fits in with the states of matter. More specifically, are there things that don’t fit in with solid, liquid, or gas? 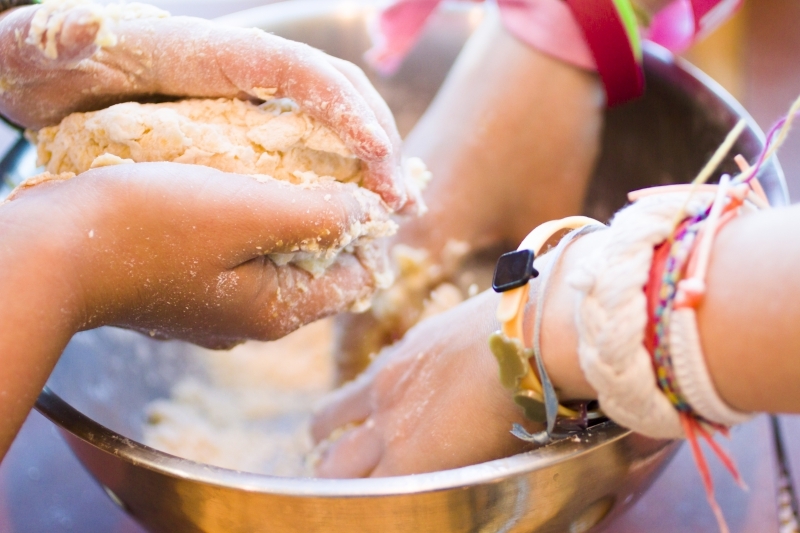 K-3: Help them along in the process, and choose a relatively simple recipe — for fourth graders, have them try reading and following the recipe themselves (with supervision). It’s great literacy practice, as well! 5-8: Find more complex recipes, or experiment with adding different materials, like beads or multiple colors. How does heat change states of matter? Similar to our last experiment, this is an extension in a whole new way. At this point, your child should have a good idea of how matter can change states, but in this experiment, we’ll focus solely on how heat can change things pretty quickly. Parents of previous generations might remember this creative experiment. Showing your child the Shrinky Dink plastic sheet, ask them what might happen when the plastic is put into the oven. If they come up with “shrink,” use this as the foundation for starting the experiment. Start drawing and coloring shapes and designs onto the plastic, but remember to coach your child on their own creations — more specifically, coaching them to understand they need to draw something bigger than normal, since it will shrink. Cut out the shapes, place them into the oven, turn on the light, and watch the magic happen! K-3: Help cut out the pieces as necessary. 5-8: Have kids draw two of the same shape, one to go in the oven, and one to not, and compare ratios between the two sizes once completed. Cooking is fun, of course, and it’s also a science! Kids love getting to whip something up in the kitchen, and cooking is a great opportunity to talk about how states of matter are changed. Pick a recipe (we recommend something like brownies or cupcakes) to follow, and encourage your child to follow the recipe with supervision — again, great literacy and math practice! Take a break before throwing everything into the oven to discuss what will happen, and why. 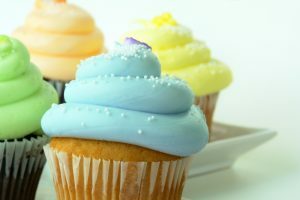 Talk about what different times in the oven would do — what would the cupcakes look like with less time in the oven? How about more? Finally, before you dive into those delicious desserts (which should probably be decorated as well, just saying), have your child draw a before and after of the cooking experiment. This is a great way to summarize the experiment, and to connect back to their learning. Be sure to test the results of this science experiment, too. K-3: Help your child bake something, and if you’re worried about something more intensive, focus on a smaller experiment, like melting chocolate and making s’mores or chocolate-covered pretzels. 5-8: Challenge your kiddo to return their finished baked good to its original state (liquid), given any means necessary. Talk about how certain things are more fluid in their changing states of matter than others. Of course, taking food dye and water is the simplest way to analyze this. But it’s summer, and you very well might have more time to do something even more in-depth. That’s right, we’re talking tie-dye. Tie-dye is wonderful to experiment with, because you see the results nearly instantaneously when it comes to color. Choose just a few colors, such as three main colors and black dye, to work with, and experiment with making colors lighter or darker before wrapping and dipping your white clothing item. Have your child consistently make predictions along the way, which will help them think analytically, while also thinking before they act. Additionally, have your child analyze what various tying and rubber band placements will do. Once ready to wear, be sure to take some fun pics of the results! K-3: Look into blending some colors to practice making new ones. 5-8: Give your preteen or teen only the primary colors, to encourage making their own creations. 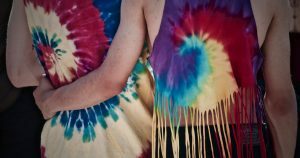 Additionally, encourage them to experiment with different tie dye patterns for different clothing items. Summer is one of the best times to connect with your family, and having some fun experiments to try is always a great way to bring people together. With the right activities, it’ll be easy for them to put down the tablets and phones, and start focusing on some enriching experiments instead. While this is a great way to tie in science over the summer, remember that our charter school in Loveland is the perfect place for your kids to continue thriving in their learning and academics, all year long. Enroll with New Vision Charter School today!